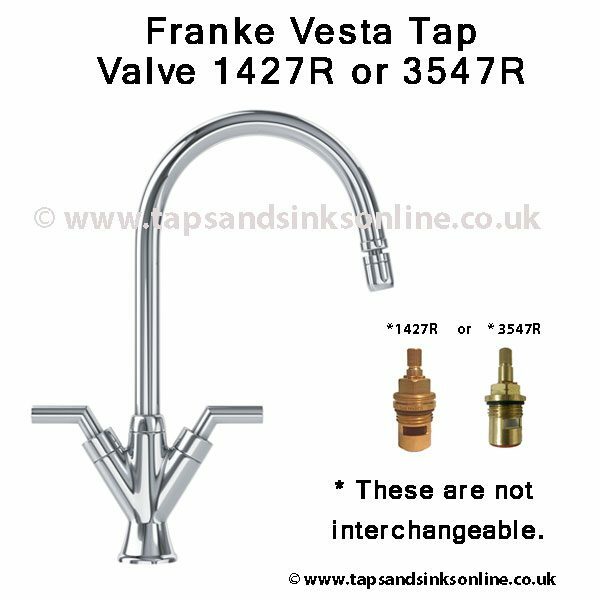 Franke Vesta Tap Valve for the Cold Water side or Hot Water side of your Kitchen Tap. 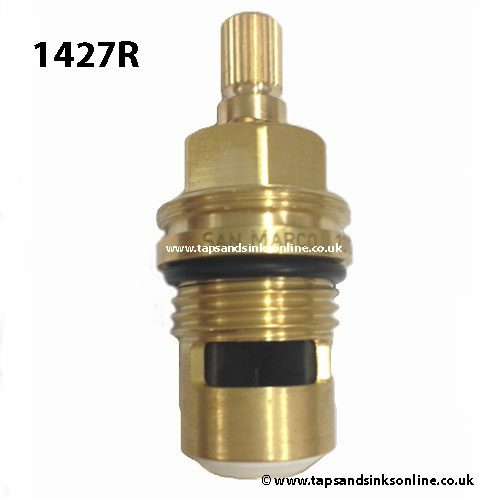 The manufacturer has changed the Vesta Tap Valve from the 1427R to 3547R c. 2012. 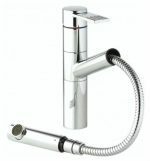 These Valves are NOT interchangeable as the handle has been modified internally. 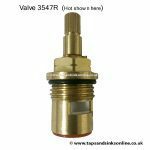 We would recommend that you remove your valve prior to ordering to check which one you have. Please note that the hot and cold valves are NOT the same i.e. 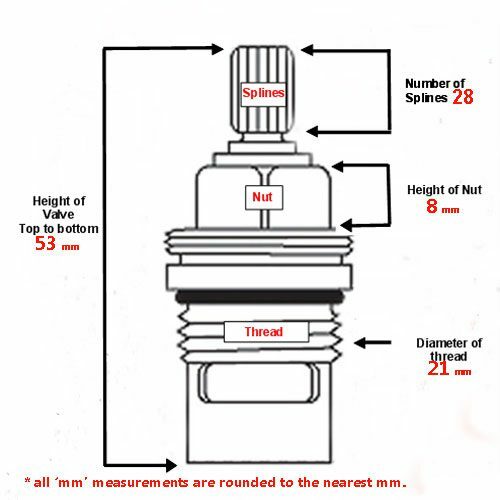 you cannot put a Hot Valve in the cold side and vice versa. 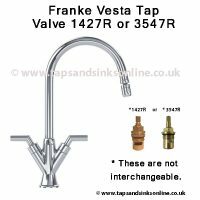 See here for the Technical Specifications of the Franke Vesta Tap. 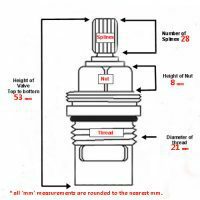 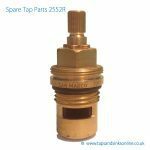 There are many versions of this Tap so please check your own Valve against the Valve details here before ordering. 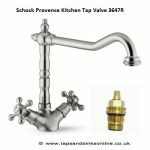 The levers are Horizontal rather than Vertical to operate your Tap on / off, and so this tap should, if plumbed correctly, operate in the Opposite way to a standard twin lever tap. 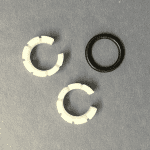 This is important if you are only buying one valve and not a pair. 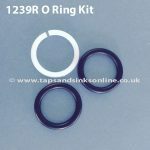 We would recommend that if in doubt as to which valve to order, if you do not understand what we mean by opening clockwise and opening anti-clockwise, order a pair and return the valve that you do not require. 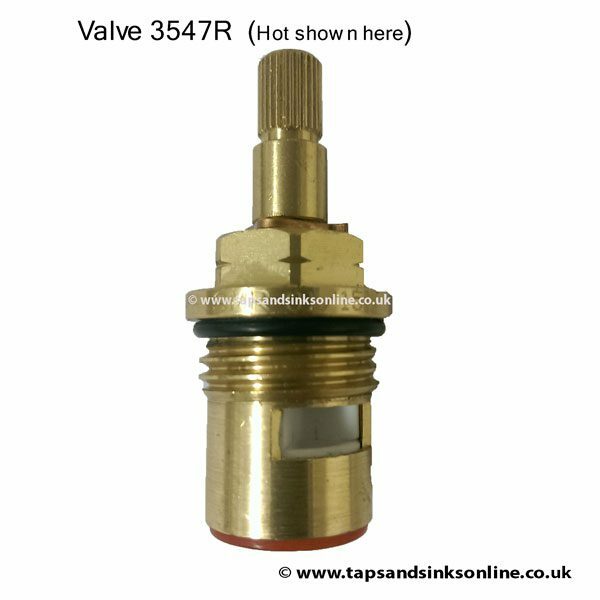 When we refer to a Valve as a 'Hot' valves, we mean one that opens Clockwise, When we say 'Cold', we mean one that opens Anti-Clockwise. 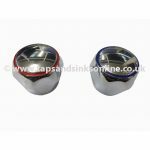 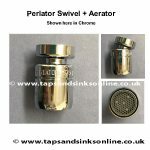 Usually, in this style Tap the valves work in the opposite direction to a twin style tap so you would find a Hot valve on the Cold side of your Tap and a Cold Valve on the Hot side. SMR 3547R Valve , Hot shown here.